For a region known for its wine, you may have heard through the grapevine about a town fully aged to perfection. Rich with heritage, complex history, and varietal character, Niagara-On-The-Lake is like a fine Merlot. Its flavour lingers long after you leave it behind. Just twenty minutes down-river from Niagara Falls, this town in the heart of Ontario’s vineyard lies at the mouth of the mighty river after which it is named. A week-end offered us such little time to appreciate its full possibilities. We sampled what we could, and discovered its charm intoxicating. Affectionately known for having the prettiest streets in Canada, Niagara-On-The-Lake, “through careful restoration”, is a refined resting place for classic traditions of 19th century Victorian architecture. 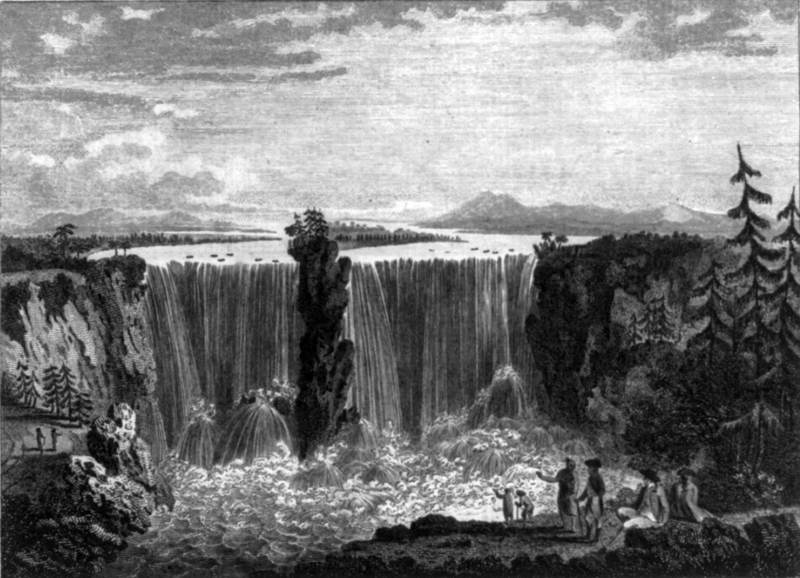 The town was resurrected after being burned to the ground in the war of 1812 between the Americans and the British. After chatting with local merchants, I suspect they managed to rekindle the zest and energy of a community whose residents had to re-build Regency in the 1800s. Betty Blaney, local resident since 1989, voices concern over the possibility of a “real estate development frenzy.” Such over building often ignores heritage and community spirit and buries architectural significance under the asphalt of progress. 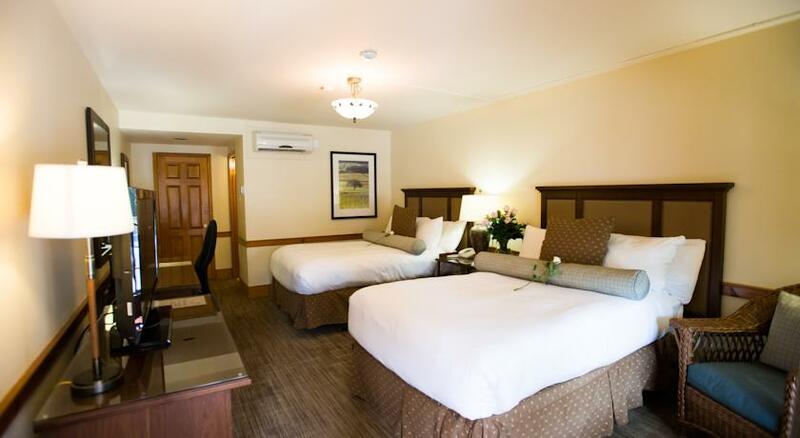 Progress means people, and Niagara-On-The-Lake “now attracts more than two million visitors annually.” Our stay allowed us to be part of the “Inn” crowd, as we enjoyed the hospitality of a variety of accommodations. 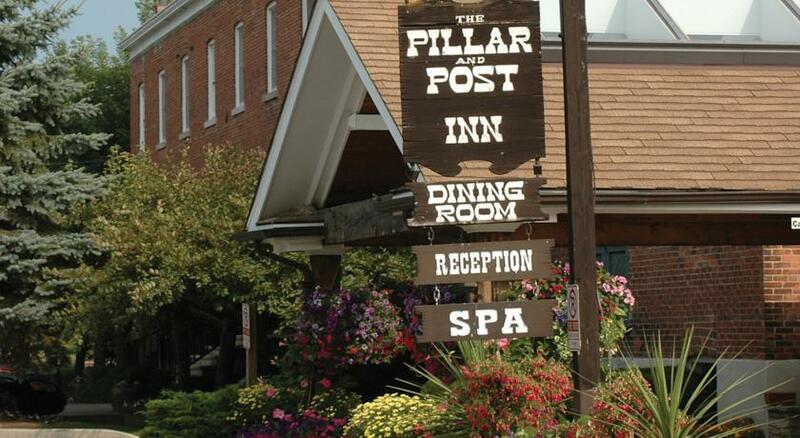 The PILLAR AND POST combines warmth and charm that captures the cosy and inviting atmosphere the town embodies. Originally built in the early 1900s as a peach and tomato canning factory, real character was incorporated into the decor upon restoration and renovations. Current owner/operator Si Wai Lai, recently refurbished the one hundred and twenty-three room Inn with remarkable attention to detail. Beautiful flower arrangements adorn the foyer, and skylights allowing the natural light to enhance the rich hues of carefully co-ordinated colours. Adding to the overall warmth, a new brick oven resides in the dining room, where delicious home-made breads and buns are baked. “When adding amenities to a building, you risk the possibility of becoming too modern, but you can see that this is not the case here, where care has been given to keep it in the tradition of the old style Inn,” said concierge Tammy Perkins. Regal flair was obvious and it was not surprising to learn that Queen Elizabeth II chose this Inn to stay in during her 1973 Royal visit to Niagara-On-The-Lake. Reservations: 1-800-361-6788. I noticed that the suites featured a door insignia with names of dukes, princes, princesses and castles on them. A small but significant detail to maintain continuity of the Hotel’s regal theme. Owned and operated by the Wiens family for over twenty years, its grace and grandeur is a visual landmark on Picton Street. The classic Victorian facade beckons visitors to venture up to its inviting entrance, just as a castle would to royal subjects. Reservations: 1-800-263-2452. 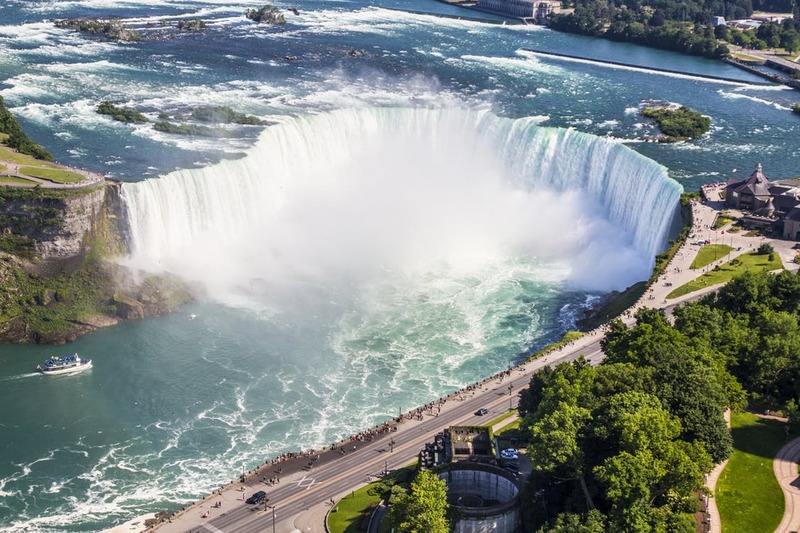 When you want to feel like one of the family, Niagara-On-The Lake plays host by offering over fifty Bed and Breakfasts. Although Sheila, server at the Pillar and Post boasts, “our brunch is the best in town,” a hearty home cooked breakfast at a local B&B offers visitors an alternative to dining out. The annual B&B House Tour is featured in October, when visitors are treated to a viewing of a “unique selection of historic, character, and country homes.” For tickets, or B&B bookings, contact the Chamber of Commerce. (905) 468-4263. A stroll down Queen St. and you’ll see historical 19th Century colonials rubbing shoulders with elaborate Victorians …architecturally speaking. A most notable piece of architecture found here is the clock tower monument, erected in the middle of the street. It was built as a memorial to those of the town’s men who lost their lives in World War I. It stands to reason then, that “Mr.Cinders”, this year’s musical comedy, was written by an outstanding playwright. A wonderful twist on a familiar fairy tale, Mr. Cinders strikes a chord between wit and whimsy. Shenanigans and song fill out this “zany” show bill, with costumes lavish enough to be the envy of any evil step brother. Excluded from the ball, Jim Langcaster is a “Cinderella who’s a fella”, whose desire to attend the festivities leads to a hilarious disguise. He bluffs and blunders his way through a madcap charade and ends up in our hearts. The classic slipper is left behind on centre stage, as the curtain falls. You already know who it fits. And as for the remarkably talented choreographed cast, its only fitting to say, that not just anyone could fill their shoes…”Mr. Cinders smile that smile, Mr. Cinders please stay awhile.” Chances are he will. Mr.Cinders – April 12 to Oct. 26 at The Royal George. Ticket reservations and information : l-800-511-SHAW. Culture and class aside, Niagara-On-The-Lake offers recreation enthusiasts a thrill in several areas. 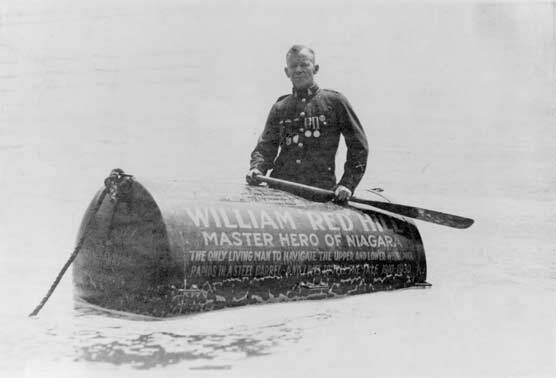 The Niagara River runs deep with adventure, where jet boating is really making waves. 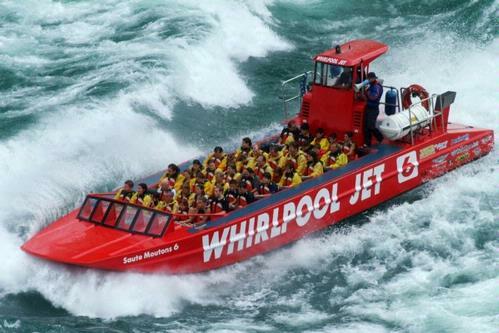 The Whirlpool Jet Company provides seven trips daily down the mighty river. Aboard the powerful jet boat, we joined 30 daring thrill seekers in an effort to conquer the legendary Devil’s Hole rapids. In a split second splash we were completely drenched, as though we had been subjected to the concentrated aim of a fireman’s hose. 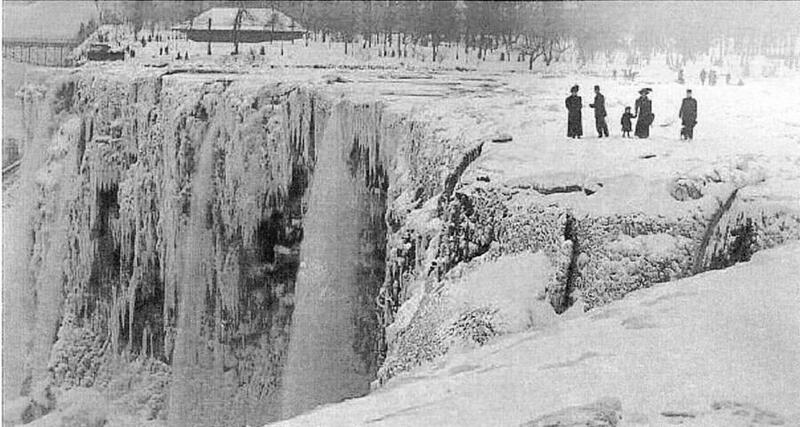 We plunged into quick breaking rapids, their crests tumbling down their slopes. At white-lightning rate, we surged into water that towered up and over us, exploding back onto itself in a chaos of foam. The sensation stopped at nothing short of exhilaration. Drink in all that Niagara-On-The-Lake has to offer. Sip some samples from your favourite winery where bouquet means more than a dozen roses, or simply let go of the hurried tempo that city life has instilled in you and breath. Experience the simple pleasures of a town thriving with theatre and bursting with good taste. 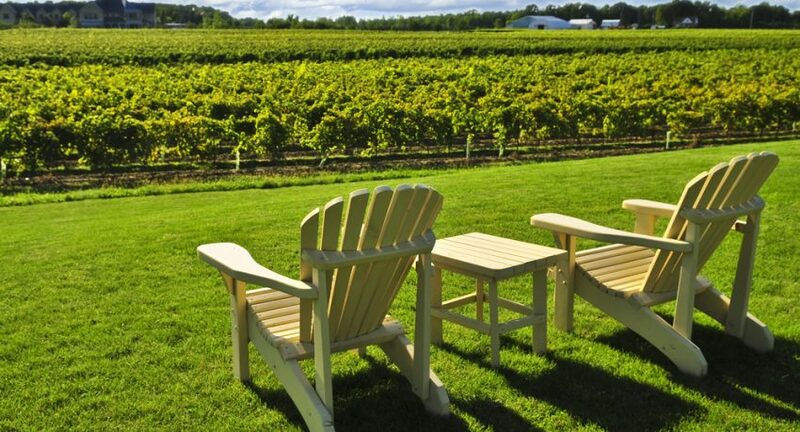 Niagara-On-The-Lake is bound to exceed all your “grape” expectations.